With the move of release exams to Trailhead, we need you to link your Webassessor and Trailhead accounts to enable us to update your credential status when you complete your maintenance module(s). 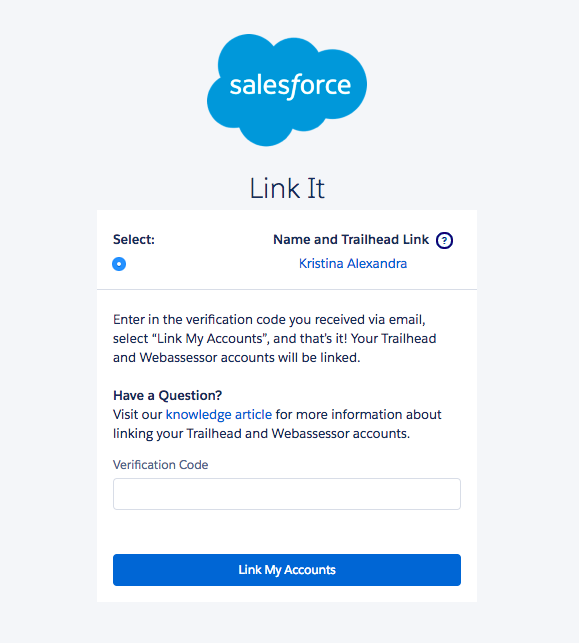 Our records currently show that you have not yet completed the process of linking your Trailhead and Webassessor accounts. Click the button below and enter in your Trailhead account details. Forgot which email is associated to your Trailhead account? Click here for help. 1. I received an email from Salesforce with the following title - "Salesforce Certification – Summer ‘18 Maintenance Announcements" and the following button (please see the image below). 2. I clicked on the link and was taken to the following page (please see the image below). 3. I then received an email in my Trailhead account mailbox with a verification code that I entered in a pop up above. 4. And then I received the following Thank You screen. 5. 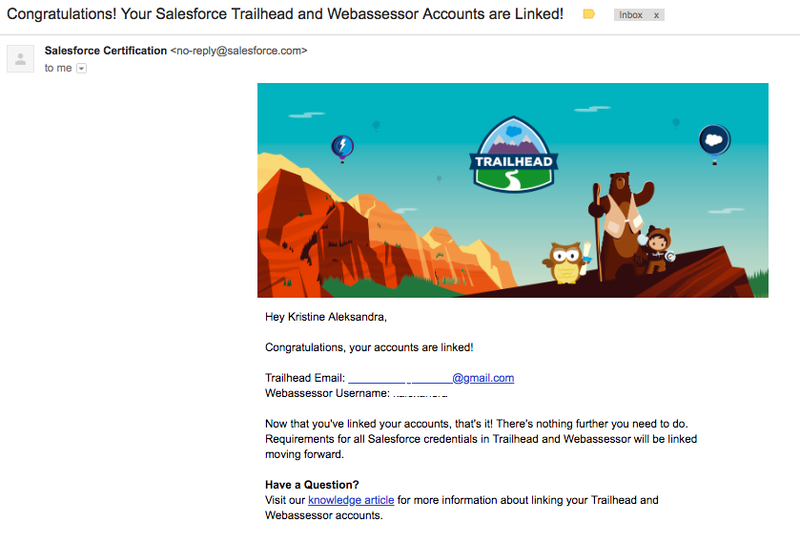 And finally as a confirmation, I received the following email from Salesforce a bit later.